Gilmorton Storage provide a huge range of workshop and storage space hire in Hinckley. Our storage space hire is available at very competitive prices and with containers and units of all sizes available, you can always find the ideal storage solutions for your needs. Whether you need storage for personal or business needs, we are always happy to help. Our entire site has a high level of security to give you peace of mind and keep all belongings in the same condition they are stored in. With the sizes of containers and units, you can also store a large number of items or large individual items. There is easy access to our storage space, allowing you to leave and remove items whenever you require. Across our 10 acre site, we have 10,000 square ft of workshop space for industrial and office work. Our storage space also includes a range of both containerised storage units and self-storage units. Our containerised storage ranges from 20 ft to 40 ft, with self-storage starting at 600 square ft, up to a maximum of 2,500 square ft. This gives you plenty of choice to store as many items as you require, for as long as necessary. Our containerised storage is suitable for any vehicles you may need to store. Whether you do not use vehicles regularly or you do not have enough room at your property, our containerised storage is completely secure and will keep any water or land vehicles in great condition. With a 10 acre site, there is no shortage of storage space hire available, allowing you to hire the smallest storage unit available or hire a range of different sizes for any number of belongings. We understand how frustrating running out of space can be as we look to provide all storage space hire in Hinckley at affordable prices. Our contracts are very flexible between long and short term, allowing you to hire storage space for as long as necessary, whilst never having to commit for longer than you require. This makes our storage facilities ideal for any needs, whether you require temporary storage or would like to keep items here in the long term. 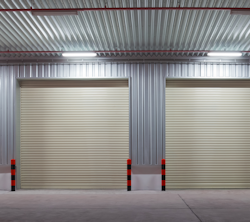 Our storage units also have three phase electric, ensuring only you can access your storage unit and never have to worry about the safety of your belongings. Despite our security features, our storage and workshop space is still easily accessible for our clients, allowing you to visit whenever you require. Whether this is to use workshop space or just to swap items in storage, you can easily access all items. Our storage space hire is suitable for both personal and business use. Our opening times are Monday to Saturday 7:00am to 7:00pm and Sunday 2:00pm to 7:00pm. This gives you access at suitable times to visit all belongings and items. Hinckley is a large market town located in the county of Leicestershire. It is also part of the borough of Hinckley and Bosworth and with a population of over 45,000, it is the second largest town in the county of Leicestershire. With Hinckley being located close to both the A5 and M1, our storage facilities are extremely easy to access from this area, being just a short drive for all clients located in Hinckley. Being the second largest town in Leicestershire, Hinckley has several points of interest located throughout the town. Some of the most famous landmarks and attractions include Hollycroft Park, Bosworth Battlefield Heritage Centre and Hinckley & District Museum Ltd. There are many other points of interest as well as places to eat and stay, making it popular among visitors and locals. 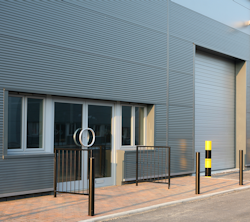 Since our establishment, our storage space at Gilmorton Storage has always been the perfect storage solution for all clients located in Hinckley. If you require storage space hire in Hinckley, we aim to be the first choice for you by offering a personal service and finding a quick storage solution for your needs. Gilmorton Storage is a family run business and we want to provide all clients with affordable storage space hire in Hinckley and the surrounding areas. Having built a fantastic reputation since being established, we will continue growing our client base with secure storage containers and units in the best condition for you. 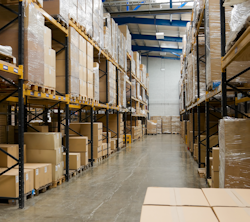 With easy access into our storage facilities no matter how many items you require storage for, you can always depend on us to find the ideal storage space for your needs. There are a range of sizes available with our storage units and contracts tailored to every individual or business we work with as we look to give you the best possible service and storage facilities. Regardless of why you require storage, we can always discuss your needs and find the best possible option for you and your budget. If you would like to discuss our affordable storage space hire in Hinckley, contact Gilmorton Storage. Our team will always give you any advice you require to find the best option for the items that you are looking to place in storage. 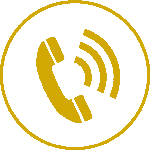 Make an enquiry and call us on 01455 209 209 or 07815 013 883 or fill in our contact form today.